The new Maruti Suzuki Swift diesel joins the Car India long term fleet and has been extremely well-received. 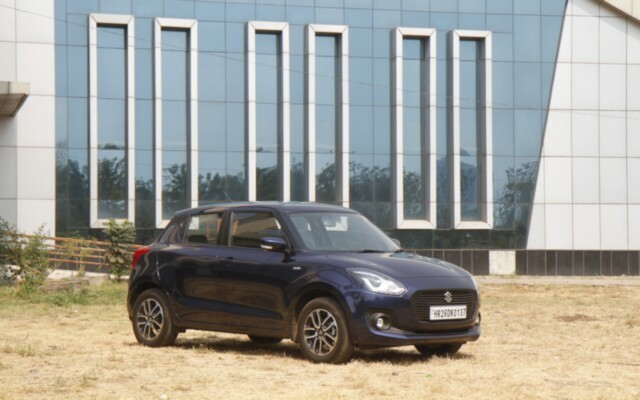 The all-new Swift arrived like a breath of fresh air, not just for us at the mag, but also for Maruti Suzuki and many potential buyers waiting for a contemporary hatchback that was not just good to look at, but also fun to drive and fuel efficient. The new Swift came in about 6,000 km ago, and it’s already won the hearts of everyone here in the office. For starters, the equipment list is formidable — making some “premium luxury” hatchbacks appear nothing short of bland. I don’t miss things like a leather interior but, for what I look for in an everyday car, the Swift ticks every box, and boldly. There is commendable safety kit as well as automatic projector headlamps, LED daytime lights, automatic climate control, a flat-bottomed steering wheel, a USB port and a touchscreen infotainment system which allows easy access to navigation and audio options — the latter of which are most used. The Swift has been on several shoots, to Mumbai and back several times, and a whole lot of places around Pune as well. The 1,248-cc turbo-diesel four is just as good as we remember, and it consistently returns high fuel economy and keeps the bills low. It’s got a boot that’s large enough to fit a cameraman, or even baggage for four. It’s been fantastic to have around and we look forward to more happy miles in it.